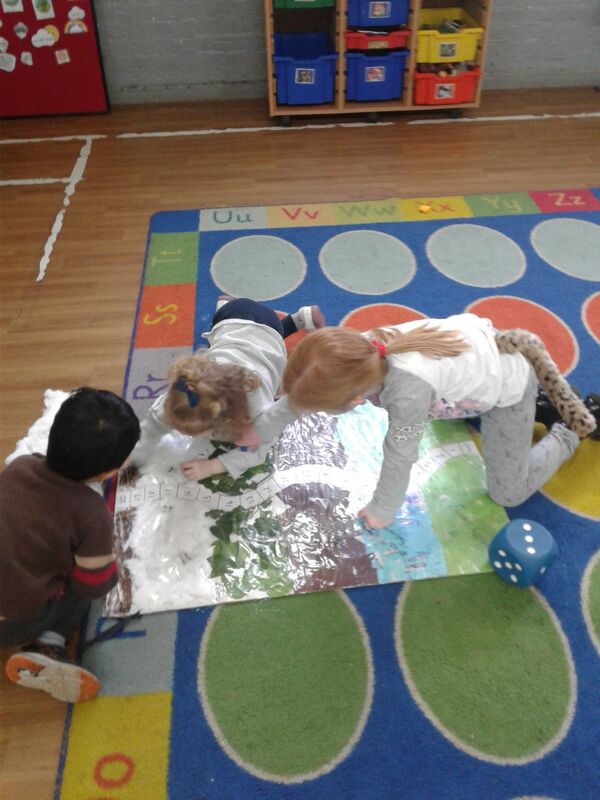 We’re going on a Bear Hunt is our themed story this term and last week the children helped to make a board game. They stuck on cotton wool for snow, Glitter and brown tissue for the mud, Painted the Long Swishy grass, used tissue paper for the river and stuck on leaves and twigs for the forest. This week they have been enjoying playing the game with the Dice and little people walking along the path to the bear cave at the end that they also made.